At Doors By Russ we believe a house should give a homeowner a sense of pride, knowing it represents their vision of what a home should be. For twenty years, we have worked with builders and homeowners to fulfill that vision. By creating custom wood doors, based on the ideas of the homeowners, we help make hundreds of houses into homes every year. In 1983 a father and a son took years of experience in the garage door industry, the drive to do things better, honesty, and the desire to guarantee customer satisfaction, and started Doors By Russ, Inc. Wes Horeni, Russ Horeni and 5 hard workers started back then and today have grown the company to what it is today. 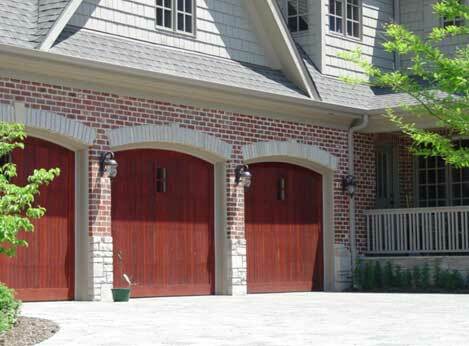 In the mid 1980’s, Wes and Russ were challenged to make sectional garage doors look like barn or carriage house doors. They took this challenge seriously and became one of the first companies to produce and install this unique style of doors. This process started with Wes and Russ working late hours and building these doors themselves. The custom wood door division has since grown into a very successful producer of the finest custom doors. In the late 1990’s the company became known as Doors By Russ, Inc. Wes became semi-retired to enjoy time with his wife in Florida for the winters. Russ continued to operate and grow the company in his dad’s absence. Wes decided to retire completely to Florida and Russ became sole owner. As the industry grew, Doors By Russ, continued to grow. Russ’ son, Josh Horeni, graduated from Cornell College in Iowa in 2002 and decided to join the family business. Josh went into the field to learn about all aspects of installation and service overhead doors and openers. Josh then transitioned into the office to help run the company. Josh has come with new, fresh, and innovative ideas that have improved the company. Doors By Russ, Inc. has been a family run business since it’s inception. Not only is it evident in the blood line, but the whole company has a “family” type feel. Many of the company’s employees have been with the company for 15+ years. This can give you the assurance that whoever you are talking to knows the garage door industry well and can assist you with your garage door needs. Doors By Russ, Inc. is still as dedicated today as it was in 1983. 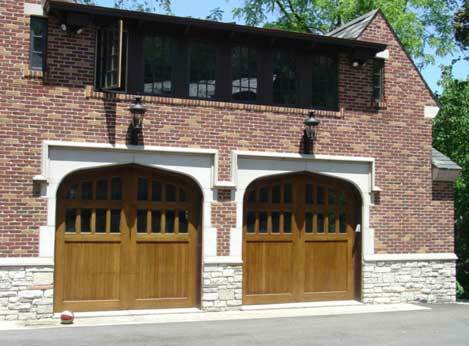 With the change in time has come changes in garage door needs with options that include steel raised panel doors, custom wood doors, semi-custom wood doors, steel carriage house doors, and fiberglass doors, we are able to find exactly what the customer wants to help make their house their dream home.